Ann provides strategic counseling and crisis management to leaders and organizations in the corporate, non-profit and philanthropic sectors, working at the intersection of law, policy and politics to help them advance their goals and achieve their objectives. She also focuses on navigating high-profile disputes, investigations, and regulatory and compliance issues. She brings decades of experience in government, politics, health law, social policy and non-profit leadership. For clients seeking to navigate policy and regulatory issues, her practice is a bridge between Silicon Valley and Washington D.C. For two years running, Politico Magazine has named Ann to its list of top 50 “thinkers, doers and visionaries” who are transforming American politics. As a Senior Policy Advisor to Hillary Clinton in her presidential campaign, she advised on critical policy issues from health care to education to job growth. As a non-profit leader, she brought together CEOs and other C-Suite executives in the health sector to find ways to better educate parents on the role they could play to improve their children’s health and educational outcomes. 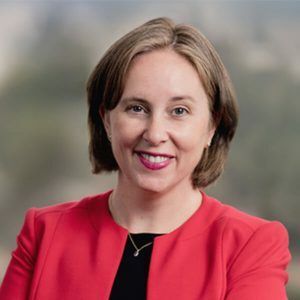 As a Deputy City Attorney in San Francisco, she was a founding member of San Francisco’s affirmative litigation task force, credited with taking on predatory lending practices of payday lenders that ultimately resulted in repayment to low-income individuals throughout California. She is also widely recognized as one of the national leaders helping business leaders and policymakers find ways to improve working conditions for employees with caregiving responsibilities. Ann has also provided crisis management to leaders in politics, government and business, dealing with sensitive high-stakes problems that could limit their effectiveness if not addressed in the right way.